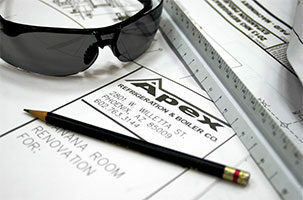 Headquartered in Phoenix, Arizona, Apex has served the Western United States for more than 20 years. 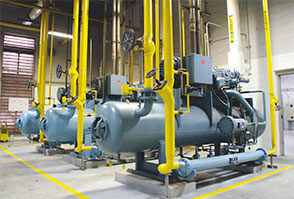 We specialize in the planning, design, installation and service of industrial and commercial refrigeration systems, process heating and cooling systems, and domestic and industrial boilers. Our management team has more than 200 years of combined experience in a wide range of heat transfer applications involving ammonia and halocarbon refrigerants, secondary heat transfer fluids, steam, hot water and natural gas. We’re dedicated to developing customer-specific solutions that fit your unique needs. And you can be assured that the finished project will incorporate high quality construction, energy efficiency and minimal service requirements. 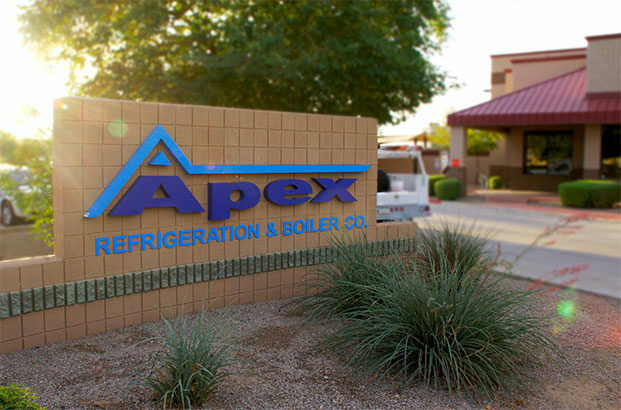 With local resources across the state of Arizona, Apex has the capabilities to respond quickly to almost any industrial/commercial refrigeration or boiler need across Arizona, California, Colorado, Idaho, Nevada, New Mexico, Oregon, Texas, Utah and Virginia. On March 29, 2019, Apex Refrigeration Services, Inc. (our Lodi, California location) was sold to Dustin McDonald who has been helping to operate the business for the past twelve years. Apex Refrigeration Services, Inc. will be transitioning its name to Refrigerated Mechanical Solutions. They can be reached at 209-366-6880 and info@refrigeratedmech.com.